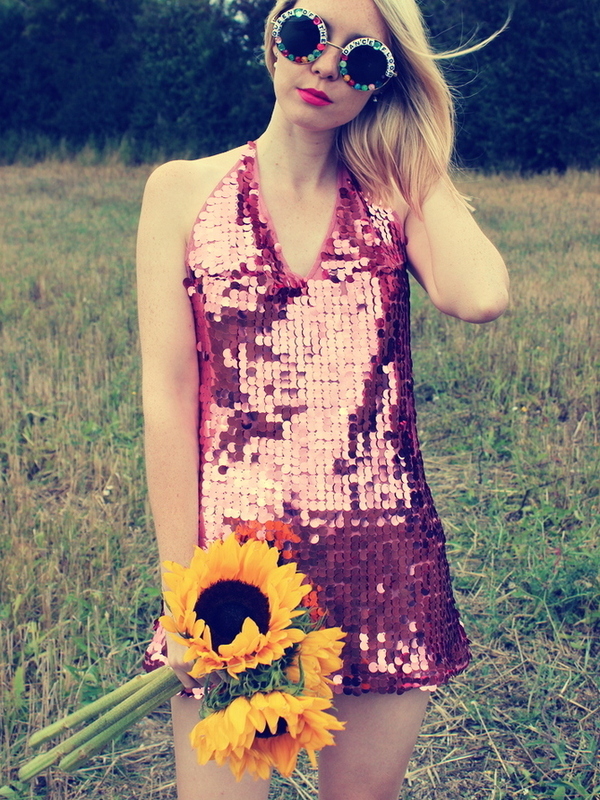 I'm still dancing to the disco beat in this jazzy Finn Dress in Metallic Rose Disc Sequin by Motel. The rose pink shade and the shimmery, glittery feel is totally up my street. The sunflower field no longer has any seasonal sunflowers growing there so we brought our own. Flower power is pretty damn important right? 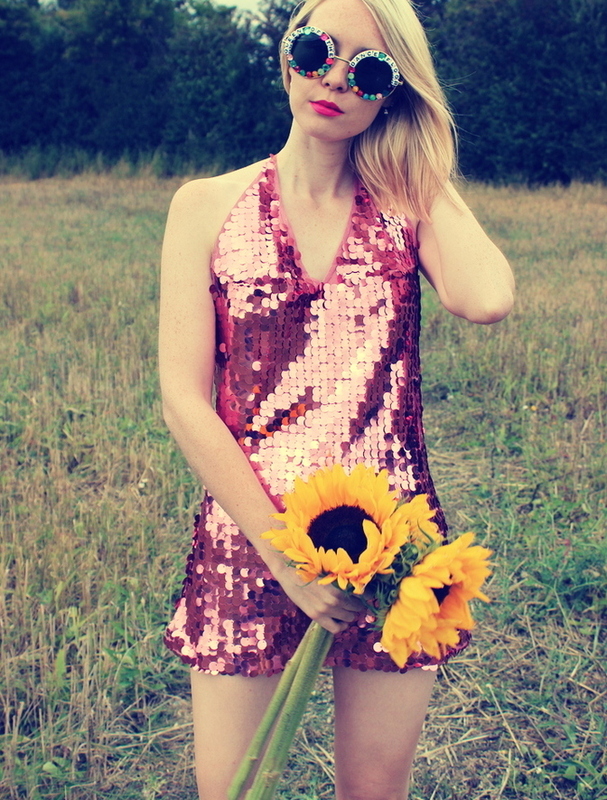 I'm also enjoying the uptempo party theme of these Queen of the Dancefloor sunglasses by Rad + Refined, who I discovered (like many other treasure trove stores through the masta-blasta of labels that is asos). You saw my literal eye-candy in this previous post, and the sunglass addiction is definitely getting sweeter and sweeter. I actually want to haul up Rad + Refined. Vibe with me for a moment, let's talk music; I've been totally getting funked up to the Isley Brothers lately. Have you ever heard their stuff? Summer Breeze is probably their most well known song. Graham and I have blasted them all summer long. I honestly think they are the hottest, baddest, souls out there. Their melodies are utterly mesmeric. Soul, funk, rock, quiet storm. I don't know, where the hell did real music go? There's not many songs or artists these days that seem to capture the magic, I find myself frustrated with my own era and turning to, well, to the seventies right now with the Isley's. Footsteps in the dark; we must have played times a mill on repeat. I definitely think the Isley Brother's have given me admiration for music and I love that they've been sampled by numerous artists over the years. Footsteps in the dark; Alicia Key's 'Woman's worth', Ice Cube's It was a good day, 'Who's that lady'; Kendrick Lemar's 'i', Choosey Lover; Aaliyah did a beautiful cover version and switched it up with an uptempo hip hop beat, 'Living for the love of you'; 2pac, Bury me a G.
I've always looked up to musicians and actors when it comes to dreams and destinies. I admire them more than most. Truthfully, they inspire me more than anyone ever could in the fashion industry. Watching a powerful performance, a film that I'm utterly entranced by and listening to melodies of musicians seems to bless me with a freedom of imagination to experiment and power on with fashion and all it beholds. On the fashion tip, I'm rocking my trusty asos primp pointed heels, which you may have seen here. Graham and I are off to the Isle of Wight tomorrow, it's one of our favourites places to go for a nice chilled out holiday and I'm so looking forward to it. We're hoping to seek out the pink sweet shop which you may have already seen over on my Instagram. I've also been shooting lots of beachy looks (never gonna squeeze summer out of my system), which I can't wait to get up for you guys! Are you a Motel Rocks fan? Have you heard any of the Isley Brother's stuff? I'd love to know what artists you admire! Each one of your posts are like a mini story book, so well written and interesting to read! Your totally rocking this dress darling!!! I love the popping pink shoes you've teamed it with and the sunglasses!!! Wow I'm kinda jealous I don't own these tbh hehe. I love how you wrote this out and I love that dress! I have never listened to The Isley Brothers, but damn if I haven't heard most of those songs you mentioned. I love it when artists sample old artists. Oh girl, just look at that dress! I can't take my eyes off it. It's absolutely stunning & suits you so much. I just checked to see if it's in stock in my size online & sadly it's not but I've asked to be notified when it is! Love this look on you! You always look like a sparkly little fairy soph! You have such a strong personal style Sophie, it's so unusual and is forever surprising me - in a good way! The rose-pink colour of this dress is stunning and once again, I'm amazed at how long your legs look haha :) Gorgeous! 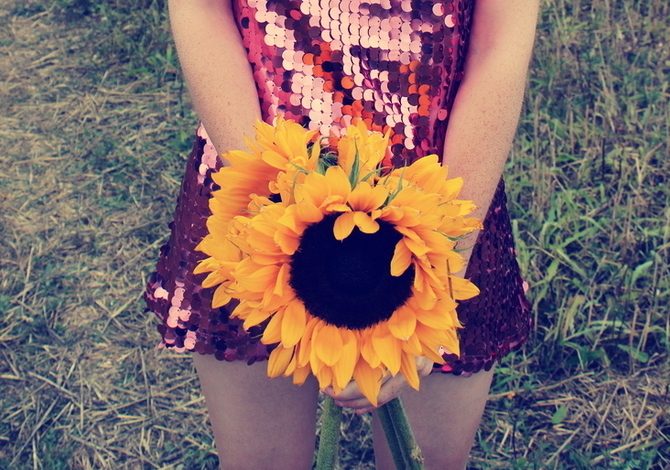 You are just the most stunning little sunflower! That dress is GOR-GEOUS! Love this fun look! Those sunnies are so perfect! This dress is beyond gorgeous! You look amazing!! The songs you listed are bangers and your outfit is cool! Let's stay in touch. I've never listened to the Isley Brother's stuff, I'm gonna give it a try now while I'm doing some work. You look so cool in this outfit! I love the shoes, the dress the sunglasses. You look flawless. 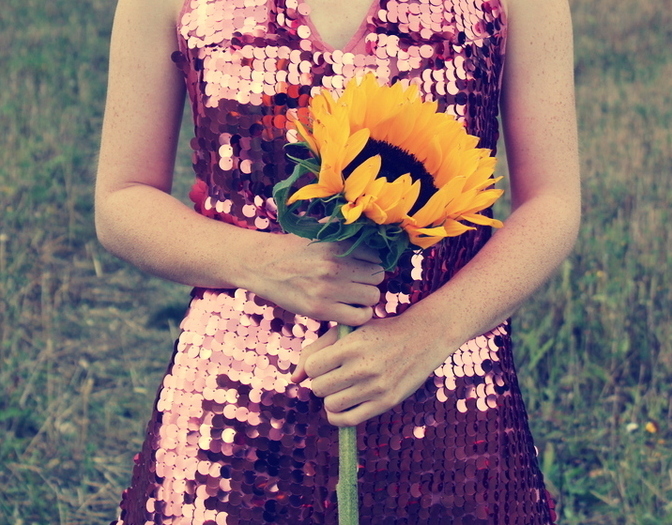 This dress just fills my heart with joy every time I see it. Also your taste in music is awesome! !